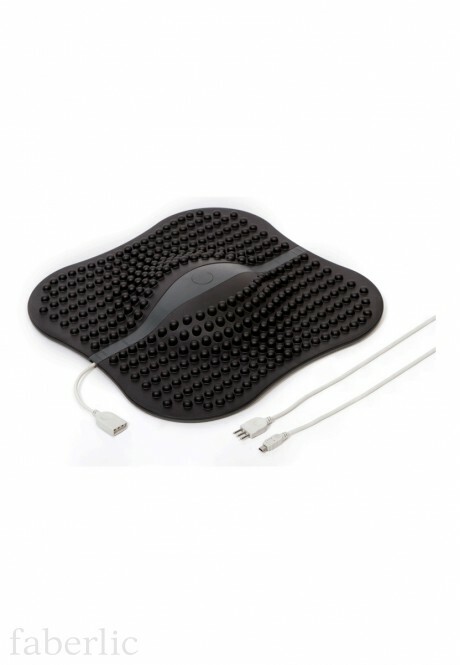 The "DENAS-REFLEX" remote electrode is made from hypoallergenic material with a conductive coating. It connects to the DENAS-PCM and is designed for electrostimulation on areas of the foot.This item offers not only localized therapy, directly to the feet (joints and blood vessels), but also is useful for whole body treatment. Reflex zones of the feet are directly linked to internal organs and systems, giving us the opportunity to purposefully influence their function. For active people with minimal free time, the DENAS-REFLEX offers a rapid method for the prevention and treatment of fatigue, and the first signs of joint and vascularailments: end of the day leg swelling, and rejuvenation after a hard day on your feet.For people with limited range of motion, it offers the possibility of comfortable joint and blood vessel treatment. The kit includes: The DENAS-REFLEX electrode. Connecting cable. The user manual. Consumer packaging. Attention! "DENAS-REFLEX" works only with the DENAS-PCM.